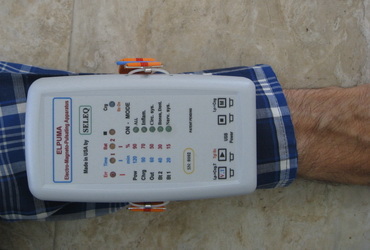 Innovative ELECTRONIC INSTRUMENT, intended to help people become healthier. Under developement, expected in 2019. 3- The extraordinary esoteric info about advantages of applying EM field with special, body-compliant frequencies, in suitable patterns. Elpuma uses 1 frequency in the range 300 - 1100 Hz, which changes slightly every 2-3 seconds (pulsates), and 1 or 2 Extremely Low Frequencies (ELF - 5 to 27 Hz), fractally encoded in the higher one. For easy application and better pennetration, a higher frequency modulation is used. All they are "noble", harmonized with the body functions, simultaneously emited via special multi-inductor complex, using an optimized pseudo-synchronous mode, for minimum power waste, but maximum efficiency and no adverse effects. Several patterns for improving particular body systems, health conditions, or general health stimulation can be used. The influence is up to 20-30 cm (8-12in) deep in the body, because many tissues can act as waveguides. Again, only specially developed, noble, harmless EM waves, with safe power are used. This is completely diferent from the harmful Electro-smog emitters (cell phones, microwave ovens, power lines and transformers, diathermy, some security check systems), as well as from some high-power EM pulsers (working on the principle "Damaging for all tissues, but more for the diseased ones"). Elpuma stimulates and gently leads the organ tissues, every cell and organelle, towards healing and recovery, and the overall long-term impact can be very strong. As wel as relief in a few minutes in some cases of muscle strain, stiffness, cramps, seizurs, digestive discomforts and others. It can be an unic smart helper in the release from a bug in the human body software, leading to obstinate Lung infections, which sometimes can be very dangerous. It can be very helpful in treatment of: Apnea, Arthritis, Atherosclerosis, Bronchitis, Chronic fatigue, Cold, Diabetes, Depression and other mental issues, Epilepsy, Emphysema, Gangrene, Gastroenteritis, Hepatitis, High blood pressure, Inflammations, Kidney-urinary - lymphatic - blood and other circulatory afflictions, incl. most thrombs and other harmful coagulants, Migraine, Muscle fever, Mycoses, Osteoporosis, Pains from various origins, Rheumatism, diverse Seizures, cramps and tics, Wounds and many others. It can also help in case of Alzheimer's and Parkinson's disease, many Cancers, some specific Digestive problems, HIV/AIDS, Poliomyelitis, Psoriasis, Tuberculosis, some Tumors, Varicose veins and others. Immediate harmless relief to tolerable condition, and facilitation of further treatment can be achieved in some cases of very high Blood pressure, Thrombophlebitis, Pre-stroke and other dangerous states. There are no reasons or indications that any harmful side effects are possible, if used according to the instructions. It's not recommended only for people with electronic life-sustaining implants (pacemaker), organ transplants, some cases of pregnancy, some people on special medications. On the other hand only one healing process is not enough to get the entire human being healthy. 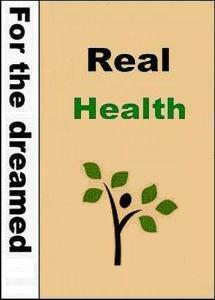 Full recovery can be achieved only by removing or significantly reducing the real causes for the illnesses. What most people don't know, don't understand or don't want to believe, is that the main root cause or aggravation for most diseases is inside our mind - the way of thinking and feeling, the mental relations with the world and with oneself, the mental style of life, which is very harmful for most people on Earth! Any healing will be poor, temporal or none, if the mind, emotions and the harmful psychical and physical environment are not changed, cleaned, improved. The right healing depends mostly on the particular person and should be directed towards his/her mindset, rather than fighting some illness. That's the main reason why many standard medical treatments are unsuccessful and why similar medications for similar illnesses can give different results for different people. This is explained in more details in the Article Briefly about the Genuine Health and in the book. ELPUMA is very small - approx. 5 x 3 x 1" (12 x 7 x 2 cm), with low weight - about 5 oz (140g), extremely easy and convenient to apply - just place it on the sick area, while meditating, reading, working or sleeping! - Easy to apply, ready to work right out of the box - most people will need to press "start" only. 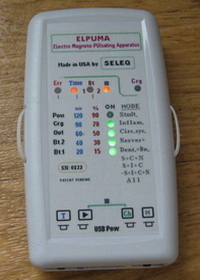 It is similar to, or can be viewed as, a specific type PEMF device. 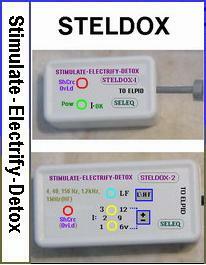 It has far similarity with Robert Beck's pulsers, but without adverse effects, and can be quite more effective. Other modifications, for larger parts of the body, wi ll be developed in the future. But such devices for the entire body are not advisable! Disclaimer: This is an experimental instrument for research, according to Federal Code 21, D, 807.65, (f), and can be used solely on user's own responsibility. The author is in no way liable for any unsuccessful treatment, lack of another treatment, or any other reason.